Sakura trees along Syakujii-gawa(River Syakujii), northern Tokyo. I went to Shinjuku park to see Hanami. I am a little saad because now i am living again in France, so the feeling about Hanami is not the same as when i lived in Japan. 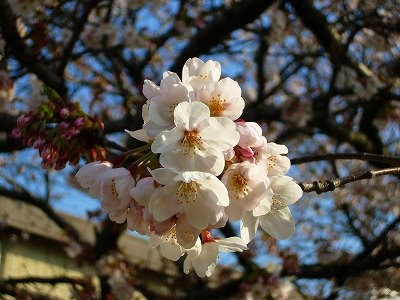 You have to be japanese or like japanese to understand the emotion about hanami. Well, not all Japanese likes Sakura or Onsen. For example, my husband always says he dosen't understand why so many people get excited about Sakura evry spring. He dosen't like onsen either. 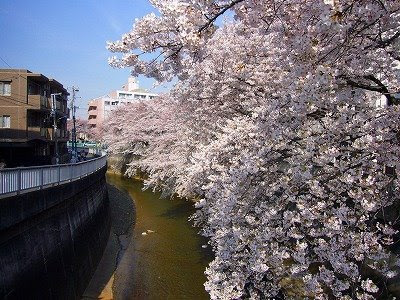 Japanese people who do not like Sakura must be rare,when i see all the people in Ueno, Shinjuku par or in Kyoto. My wife does not share my interest for Onsen, when we lived in Tokyo she came with me one time a month when a went three times.